Pearson has spent 10 years in the RFU Professional Referee Unit, refereeing over 300 senior games including 29 Tests, and will join on October 8, 2012. 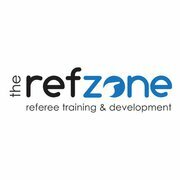 Dave Pearson said: “Referee coaching is where I always saw myself going after refereeing at the top level and this is the perfect job for me. Although it has perhaps come a little sooner than I had anticipated, I’m extremely excited about taking the new role on and working for Six Nations”.